An elderly woman was killed by an elderly motorist in Queens last weekend. Elba Granizo, 75, was crossing at Roosevelt Avenue and 90th Street in Elmurst when she was hit by a driver making a left turn, according to the Times Ledger. She was pronounced dead at Elmhurst Hospital. DNAinfo reports that the driver, also 75, was not charged, and that the NYPD investigation is ongoing. 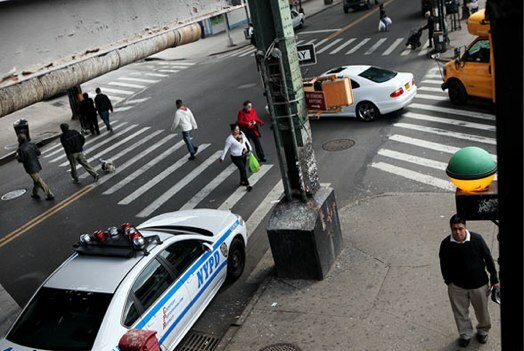 Granizo was at least the twelfth senior to die in NYC traffic in 2013, according to crash data compiled by Streetsblog. This fatal crash occurred on the border of the 110th and 115th Precincts. To voice your concerns about neighborhood traffic safety directly to the commanding officers of these precincts, go to the next precinct community council meeting. Community council info is available on each precinct’s web page. The City Council district where Elba Granizo was killed is represented by Julissa Ferreras. This district was also the site of a horrific fatal curb-jump crash in Willets Point in April. To encourage Ferreras to take action to improve street safety in her district and citywide, contact her at 718-651-1917, jferreras@council.nyc.gov or @JulissaFerreras.